We are 3 Physical therapists who met in Evidence In Motion’s (EPPPM) Executive Program in Private Practice Management with t-DPT (class of 2013). The EcoPro pillow cover was our group capstone project and ultimately the winner of the Best Capstone Project Award for our class. 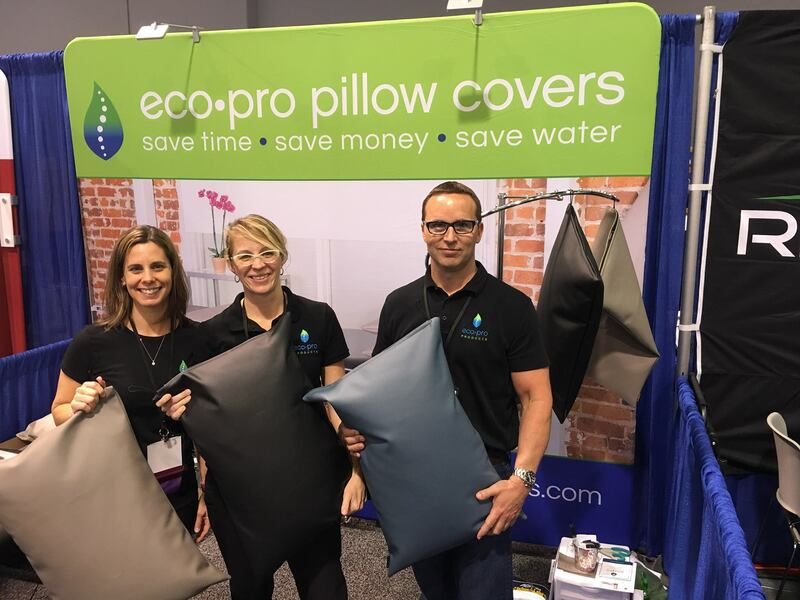 Upon graduation from EIM’s program, we started our company, EcoPro Products with the purpose of bringing the EcoPro pillow cover to market while also creating and launching other innovative green products for Physical Therapists and the health and wellness industry as a whole. Brook lives in Santa Barbara where he has been a clinic director in private practice since 2002. He believes that all Physical Therapists should strive to be more eco-conscious which is what largely contributed to the genesis of EcoPro products. In his free time, he likes to spend time at the beach, run, travel, and read. Kim has been a Physical Therapist since 1981. She started working in the private practice setting in 1986, and established Focus on Health in Newport Beach, CA in 1989. She has been a Feldenkrais Practitioner since 2005, and she also has a passion for teaching manual therapy techniques. Kim enjoys walking the dog, hiking, gardening and scrapbooking when she has any free time! To provide high quality eco-friendly products to the health and wellness industry. The EcoPro pillow cover will become the standard for all physical therapists, chiropractors, massage therapists, acupuncturists, dentists, medical doctors, athletic trainers, and health and wellness facilities. To educate the health and wellness industry regarding ways to incorporate eco-friendly strategies into daily practice. At EcoPro Products, we believe in supporting organizations on the front line of the global water crisis. Therefore we are proud to partner with and support Water.org by donating 1% of our total sales each and every month. For more than twenty years, Water.org has been at the forefront of developing and delivering sustainable solutions to the global water crisis. Founded by Gary White and Matt Damon, Water.org pioneers innovative, community-driven and market-based solutions to provide universal access to safe water and sanitation, giving women hope, children health and communities a future. To date, Water.org has positively transformed millions of lives around the world, ensuring a better life for generations ahead. If you would like to help with the global water crisis, please click the button to the left. How much does your pillowcase laundry cost?